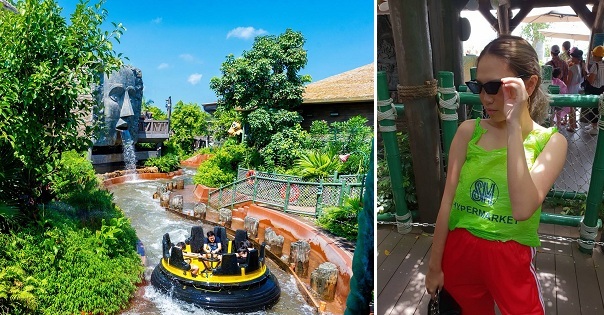 MANILA, Philippines – A young Filipina recently went viral for a unique ‘blouse’ she wore to one of the most popular tourist destinations in Asia: Ocean Park Hong Kong. A lot of netizens had a good laugh over her strange OOTD but others were impressed that she was able to carry this look like she owned the style. She’s certainly a model and genius ‘designer’ by her own right, netizens claimed. The plastic bag in question was a rather unappealing neon green piece from SM hypermarket but Angelie Janelle Orleans was able to pull off the look, making the plastic piece look more glamorous than it was intended to be. The reason behind her wearing that outfit also impressed a lot of people. Her claim to fame started when her friend, Jerwyn Buenaventura, posted her OOTD on Facebook last Wednesday. Some people might be puzzled about the ‘Henry Sy’ part but this was just a joke. The ‘Who are you wearing today?’ part refers to the designer of the outfit she’s wearing, something that fashion magazines often use. But because she was wearing the SM plastic bag, Angelie’s supposed designer was no less than the owner of the SM malls! 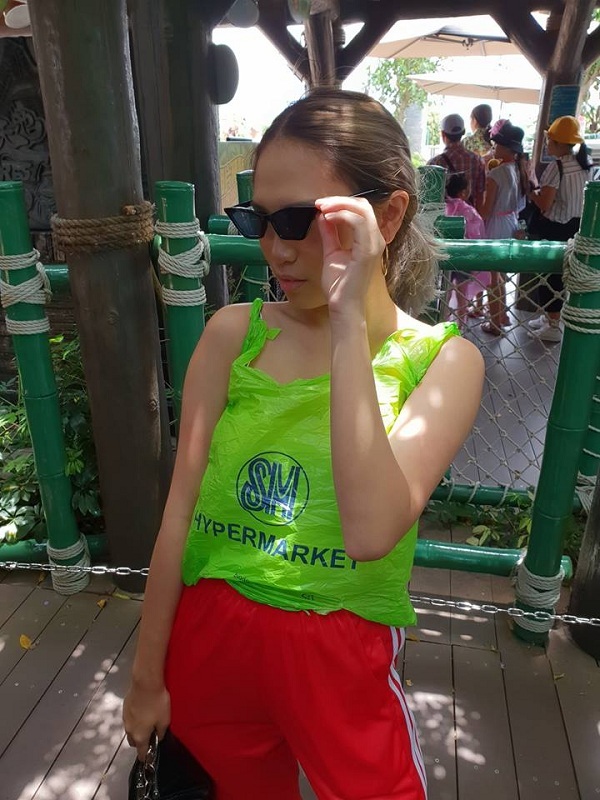 The neon green SM plastic bag ‘blouse’ was perhaps a silly thing to wear but Angelie had actually done this to save 40HKD (US$5.10 or PHP270.85) on a poncho being sold in the theme park so her clothes wouldn’t get wet. 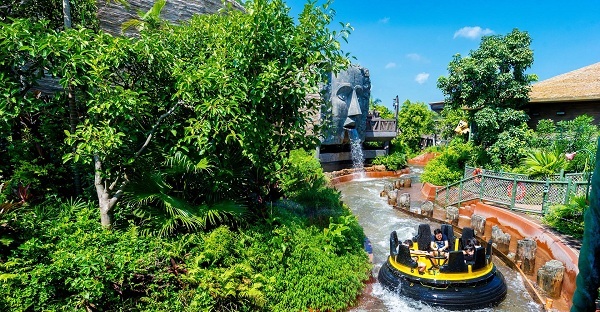 Jerwyn revealed that they were actually lining up to take The Rapids ride in Ocean Park Hong Kong and Angelie was concerned that her clothes might get wet and ruined in the ride. They had the option to buy the poncho but the wise young lady realized that the plastic bag just might work for her, instead of spending money on the poncho she would only use once. But did the outfit actually work? Well, yes! 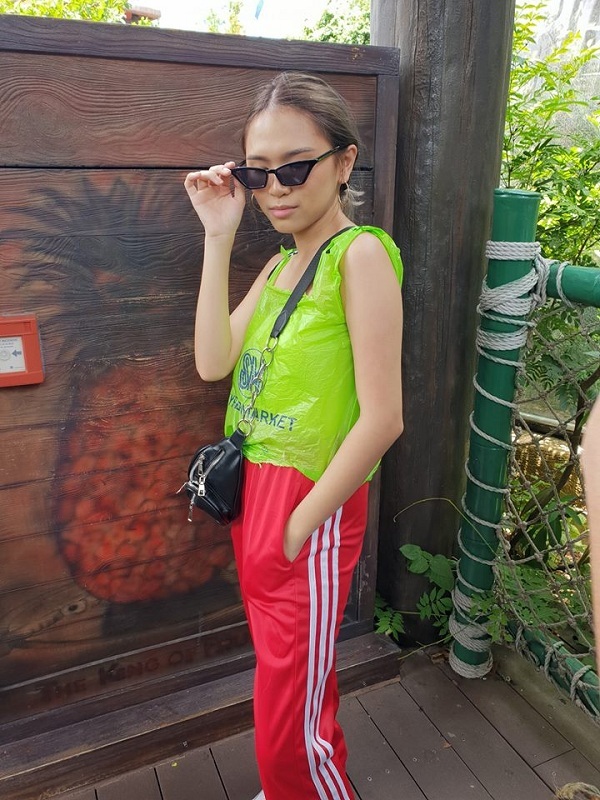 Jerwyn revealed that the plastic bag ‘blouse’ actually made it through the rapids – and it did turn heads at Ocean Park Hong Kong. What a wise young lady!